Our cottage wood garden sheds are classic quaker-style sheds that feature an offset a-frame roof with a large overhang on the front. This creates a distinct cottage appeal that fits well in any setting. These garden sheds are ideal for lawn and garden storage. But they also are great options for everything from mini vacation cabins to pool houses, home office sheds, or hobby sheds. The cottage garden sheds come standard with one set of wood doors and two windows. Have A Cottage Garden Shed Delivered To You For As Low As $2,009. 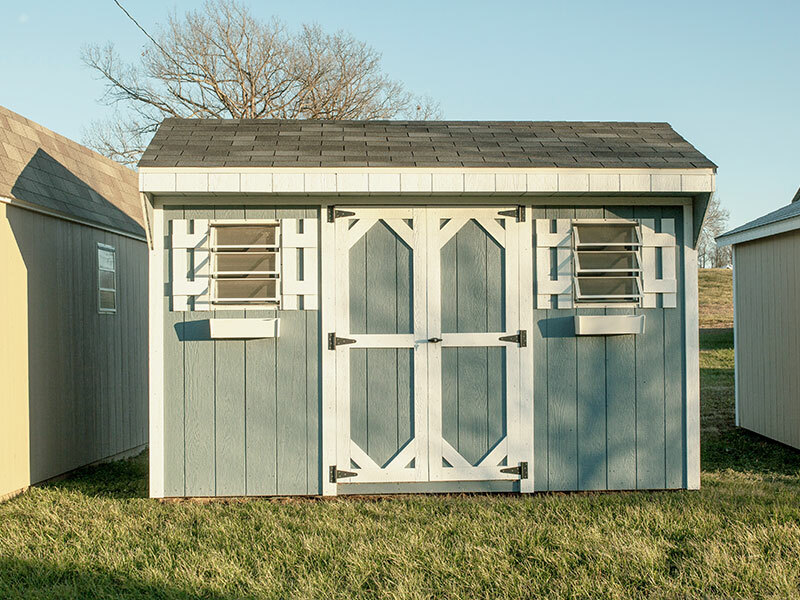 You deserve a garden shed that matches your style that you can be proud of. If you have a picture of a shed that you saw online or somewhere else, just send it to us and we’ll do our best to make it to your specs. We have standard sheds, with standard features and sizes, but we’re not locked into only that. We are a full custom shed company. Choose your colors, add options, dream away. Also known as the "Quaker" style. Ideal for lawn and garden storage. 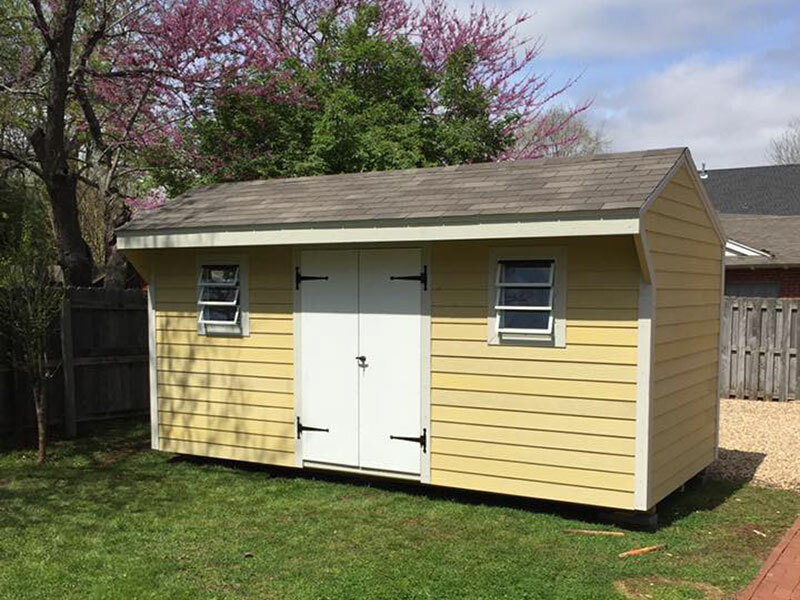 The classic shed ideal for a variety of usages. 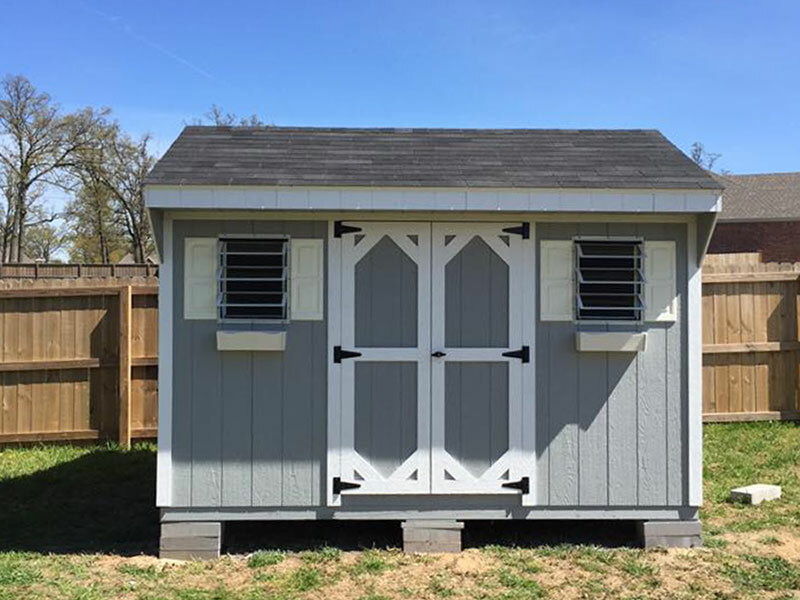 Featuring the classic barn-style hip roof with high walls and space for a loft (standard feature). Our most economical storage barns. 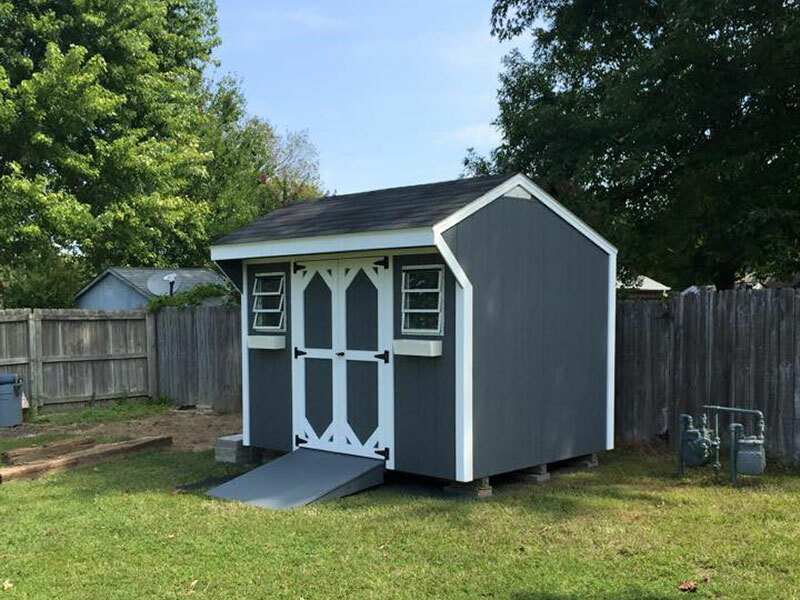 These wood sheds are practical and durable.